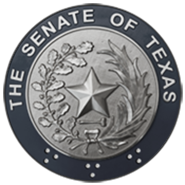 Study the relationship between the provisions of the federal Balanced Budget Act of 1997 relating to children's health insurance and the Texas health care infrastructure. Provide oversight for the efforts of the state health and human services agencies to develop a state children's health insurance program. Identify potential sources of funding that may be used as state match for federal grant funds through the Children's Health Insurance Program.